On Nov. 10, we launched a $5 million funding collaboration with the Federal Home Loan Bank of Des Moines (FHLB Des Moines) to support the groundbreaking work of Native CDFIs. Our collaboration with FHLB Des Moines demonstrates how financial institutions, funders, and Native CDFIs can work together to unlock opportunities for Indian Country. FHLB Des Moines is a member-owned financial cooperative that supports mortgage lending, economic development, and affordable housing. We kicked off the collaboration in Missoula, MT, by convening Native American community leaders, bank and credit union executives, and foundation professionals , several of whom highlighted opportunities for investments in Indian Country during their speeches and panel discussions. Native community development financial institutions (CDFIs) are dynamic, trusted financial partners for Native communities. CDFIs are private financial institutions dedicated to delivering responsible, affordable lending for underserved communities. Native CDFIs are rooted in the cultural and historic context of Native communities and provide services that go beyond lending. They’re engines of change, expanding economic opportunity and opening doors to loans, credit, jobs, and much more. The day showcased opportunities for financial institutions and funders to partner with Native CDFIs, which help create investments, grow jobs, and support entrepreneurship in Native communities. Our CEO Kevin Walker said this collaboration builds on the Foundation’s commitment to grow and deepen its partnership with Native CDFIs. Mike Wilson, president and chief executive officer at FHLB Des Moines, said that the collaboration with NWAF is a unique chance to support Native-led strategies that strengthen economic opportunities in Indian Country. Throughout the day, Native CDFI speakers offered great examples, which underscored Wilson’s point. Native CDFIs are scaling up growth and innovation. Angie Main, executive director of NACDC Financial Services, wants to expand the organization’s home renovation program and grow its training and technical assistance initiatives. Main also sees a significant growth in NACDC’s training program. Last year, nearly 600 people participated in 31 trainings across six reservations. The group approved over $600,000 in loan requests as a result of the trainings. The Northwest Native Development Fund (NNDF) is also growing its lending and training programs with funding support from Wells Fargo Diverse Community Capital Program and from us. Recently, NNDF helped a Native entrepreneur open a first-of-its-kind restaurant on the Colville Reservation, giving locals an opportunity to stop by for a nutritious meal. NNDF supplied the training and financing support to get the idea off the ground. Read the full profile here. The appetite for private sector development in Indian Country is growing, and Native CDFIs need capital to meet demand. Chrystel Cornelius is the executive director of First Nations Oweesta Corporation, the only national Native CDFI intermediary that offers financial products and development services exclusively to Native CDFIs and Native communities. Over the years, we’ve been honored to partner with Cornelius and others at Oweesta to help grow and develop the work of Native CDFIs. 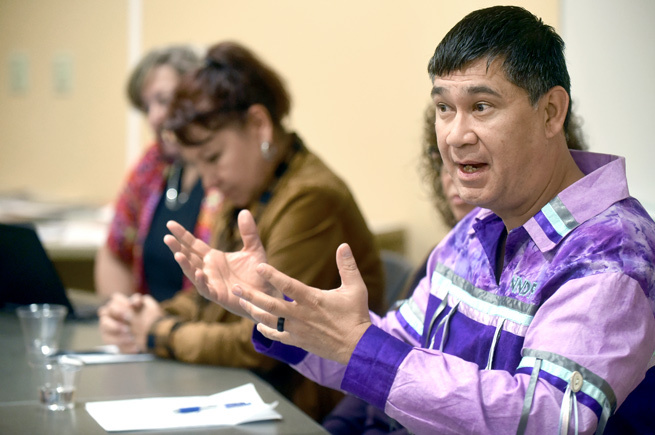 Cornelius was among a panel of Native leaders who assessed research about opportunities and barriers in Indian Country. She highlighted a 2012 Oweesta-sponsored Access to Capital study of certified Native CDFIs, which showed that economies in Native communities are growing, and they have high capital demands that Native CDFIs want to meet. Investing in Native CDFIs grows jobs and supports entrepreneurship in Indian Country. Native CDFIs bring necessary investment to Indian Country, and they’re also a great investment for financial institutions. Native CDFIs help financial institutions round out their investment portfolios. For instance, FHLB Des Moines is exploring ways to grow its services to reach more Native communities, in addition to its collaboration with us. Native CDFIs give banks an opportunity to respond to community needs, which helps banks meet Community Reinvestment Act (CRA) requirements. A representative from Glacier Bank in Montana said he didn’t realize that he could meet CRA requirements by investing in Native CDFIs, and that many of his colleagues would be interested in doing the same. When financial institutions choose to invest in Native CDFIs, they’re making a wise business decision. INVESTING IN INDIAN COUNTRY THROUGH NATIVE CDFIs IS A SAFE BET. 1. Native CDFIs have default rates that are lower than the average bank because they build lasting relationships and provide financial education and training in conjunction with their lending activities. 2. Most tribal governments are supportive of Native CDFIs and they want to help them succeed. MANY FINANCIAL INSTITUTIONS CAN MAKE SMALL BUT SUCCESSFUL AND IMPACTFUL INVESTMENTS. Native CDFIs typically need investments under $1 million in size, which can be too low for some financial institutions to consider. However, Oweesta’s Access to Capital study found that many financial institutions, especially community banks, can and do make such investments. One bank representative during a group discussion saw it clearly: Community banks can sometimes be more flexible than bigger financial institutions, and they’re often glad to make smaller dollar investments. We learned that financial institutions are looking to invest for impact in Native communities, want to build relationships with Native CDFIs, are eager to partner, and just need to gain a deeper understanding of Native CDFIs and the opportunities for investment. 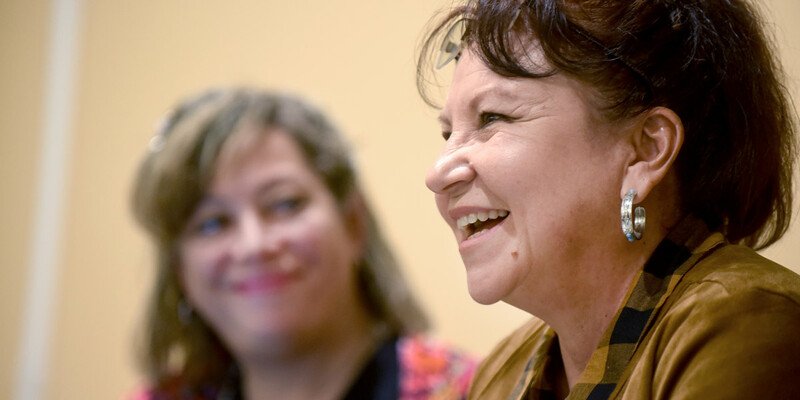 The collaboration and the event launching it in November offered plenty of insights, observations, and wisdom from leaders about Native CDFI work and how they’re engines of opportunity for impact in Native communities. In 2018, you’ll see how we’re planning to award funding and learn more about how Native CDFIs are fantastic partners for investment and growth in Indian Country, including interviews, blog posts, and other content—let’s share the message far and wide. Stay tuned, and follow up with us if you’re interested in more! and have questions about how to partner with Native CDFIs, or just want to learn more about them? We’d love to hear from you! Tell us what’s exciting to you about this initiative!